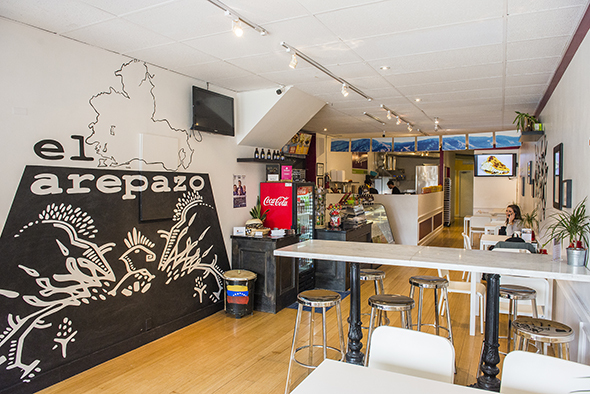 El Arepazo is where to go for a taste of traditional Venezuelan food in Kensington Market. 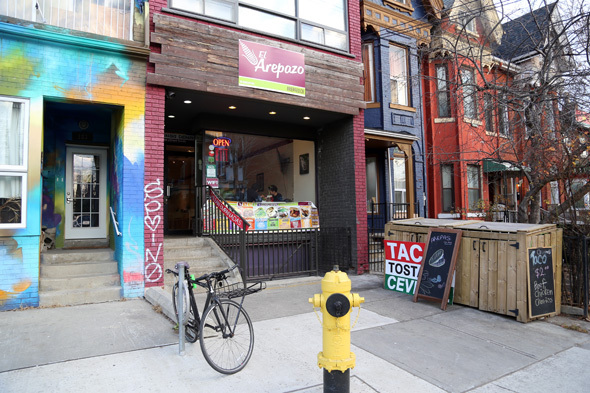 What started as a pop-up food stand at 214 Augusta graduated into a standalone restaurant dishing out hundreds of arepas every week. The menu bills traditional Venezuelan recipes passed down from the owner's grandparents mixed with flavours from local Kensington suppliers. 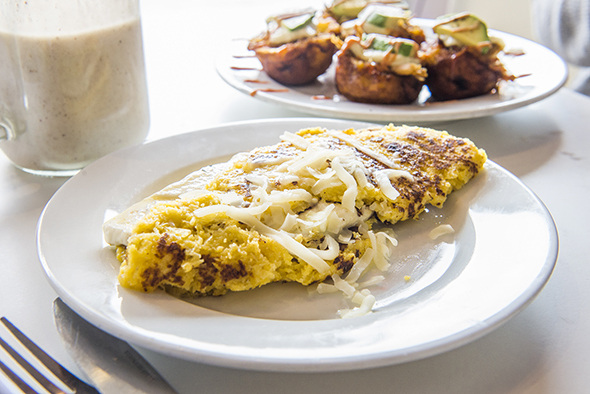 There's a variety of appetizers and sharing plates, but it's the arepa that's the star of the show. 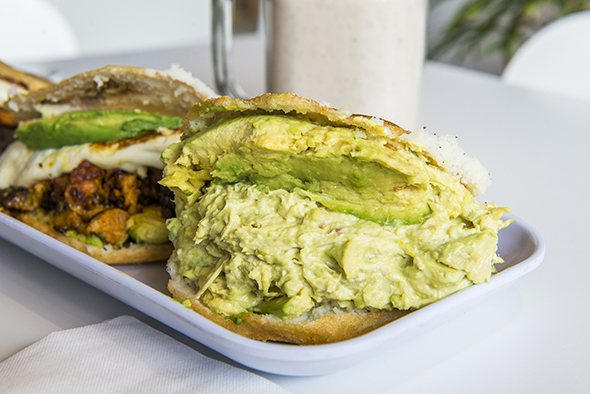 Essentially a Venezuelan-style hamburger, an arepa is a flat, round cornbread (fried or baked) stuffed with your choice of meat, veggies, cheeses and sauces. These ones are all gluten free and made right in front of you in the open-style kitchen. 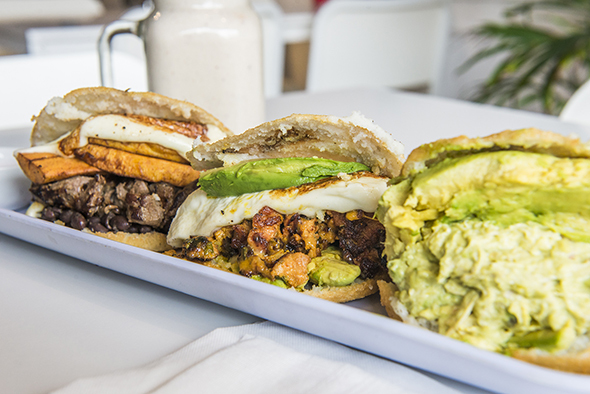 We start off with the arepa sliders ($15-18), which comes with three offerings. 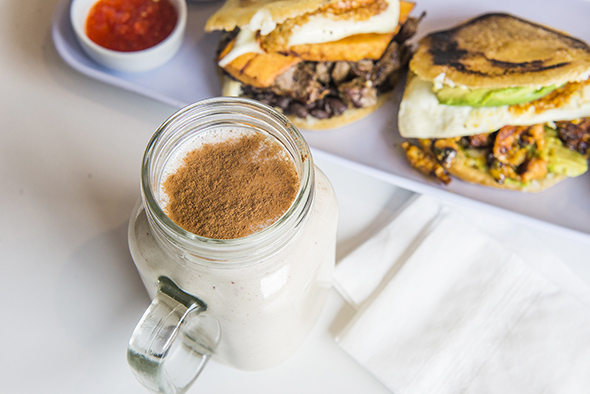 We grab two from the signature list - La Reina (chunky chicken and avocado) and La De Pernil (slow-roasted pork with avocado, queso fresco and mustard salsa) - as well as a speciality arepa, the Pabellon (steak with black beans, fried plantains and melted queso fresco). The arepas are huge (don't let the term "slider" fool you), a little messy and extremely flavourful. Served with homemade guasacca avocado sauce and spicy salsa roja for dipping, the homemade cornbread is crispy and fresh and the fillings are generous. Beyond the ones we tried, their menu lists other variations ($12-$15 for three). 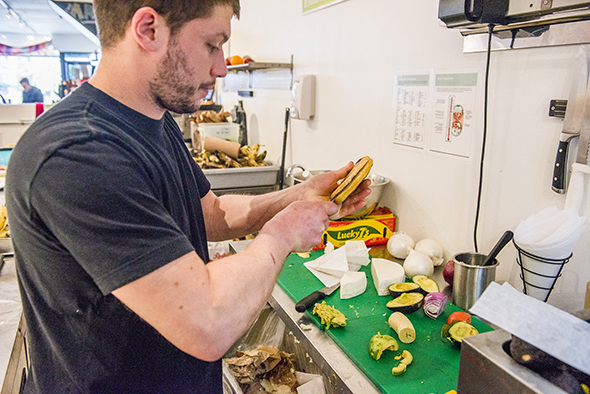 Veggie-lovers aren't left out with six different arepas ($9-10) to choose from. You're also free to mix it up, choose different toppings or make your own. Everything, except the pulled pork, is gluten free. Also worth trying is an order of the patacones ($12). 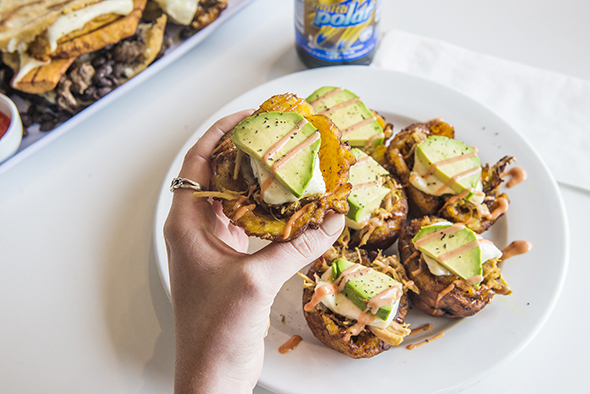 These homemade plantain cups are filled to the brim with pulled pork, melted queso fresco, avocado and playa. To drink, I recommend a chicha ($3.50), a rice drink made with condensed milk and cinnamon (think a drinkable rice pudding). And while we stopped ourselves from completely overindulging with the dessert menu, we also tried the cachapa ($12-16), a sweet, thick corn pancake that's topped with butter and quesco fresco (or meat). 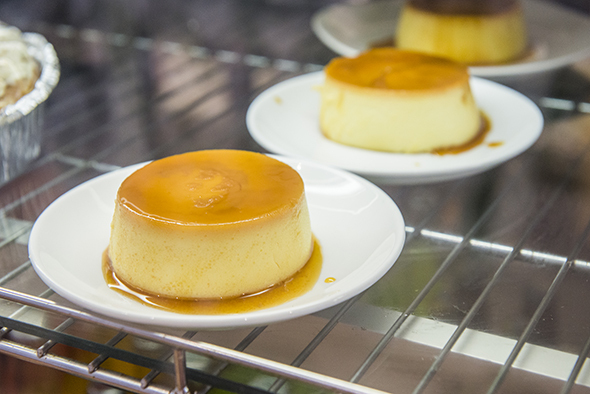 There's also a range of cheap, traditional desserts like mandocas (fried plantain doughnuts- $2 each) or a quesillo (flan type cake with caramel for $5).